Conventional wisdom in the Amazon era holds that the lowest price wins the battle of the retailers, leading many to just about give away items to make a sale. Yet some data suggest a more nuanced reality: while 76 percent of retailers aim to sell goods at the lowest price, only 17 percent of shoppers say price is a dealbreaker, according to Forrester Research. That discrepancy creates an opening for retailers to recover some of their long-lost profit margins, with new software to track prices and preferences to make sure the customer gets what they want hassle-free. Consumers "want a fair price and it's not the lowest price," said Cheryl Sullivan, chief marketing officer for software company Revionics. Revionics offers programs using artificial intelligence and data analysis to help retailers identify the best price to avoid money-losing promotions. These new tools are among the wares on display at the National Retail Federation's "Big Show" that has packed in some 37,000 visitors this week at the Jacob Javits Center in midtown Manhattan. The annual event comes on the heels of a strong holiday shopping season that saw solid sales, but profits suffered because of the reliance on heavy promotions and free shipping. Retail share prices were pummeled last week after holiday sales reports by Macy's, Target and Victoria's Secret's parent and others that have shifted from traditional brick-and-mortar to so-called "omni-channel" formats. This year's trade show again features the latest and greatest in robots, virtual reality and other gee-wiz gadgetry, but also plenty of tools to try to boost profitability in e-commerce, where margins are leaner than in the glory days when shopping malls ruled. But digital commerce is no longer novel and customers have become less forgiving of delivery snafus, or promotional misfires, such as sending coupons for rock concerts to classical music fans. It means shifting the spotlight away from the product—the traditional focus of the retailer—to customer experience. "It's no longer about killer apps," said Timothy Bridges, an executive vice president at Capgemini, a consultancy. "It's about a digitally-enabled customer experience." A worker at a logistics center at the Singapore Post sorting goods at holiday time a couple of years ago. Revionics's software takes readings in real-time of other e-commerce vendors, analyzes price and customer data, and changes prices for individual products up to a couple of times a day if needed, a technique commonly known as "dynamic pricing." "The key is to understand which competitor on which items makes a difference," Sullivan said. She said many promotions fail because they are on goods that are not truly price sensitive, or because they do not lead to sales on related items that make up for the discount. For example, a promotion on a low-margin item like dog food may be wise if it boosts sales of nearby items that are more profitable, such as pet toys, Sullivan said. Software by Canadian company Acceo allows stores to keep track of customers at each stage of the sales process, from communicating with a website to ordering and picking up a product. The program can be personalized to shoppers—a rising trend—and it tracks inventory so that customers aren't told a product is in stock when it isn't. The program's job is to "look at all the touch points," said Ian Holland, said Acceo vice president for retail solutions. "If at any of these points it fails, then you're having a crummy experience." One especially crucial area is free shipping, an increasing must-have to many shoppers. A survey presented by NRF found that 75 percent of consumers expect delivery to be free even on orders under $50, up from 68 percent last year. Surveys also show customers increasingly eager to receive goods faster—within two days, not four, or within hours in some cases. Amazon has adapted another strategy, offering incentives—like credits that can be redeemed at Whole Foods—to customers willing to wait longer for delivery. 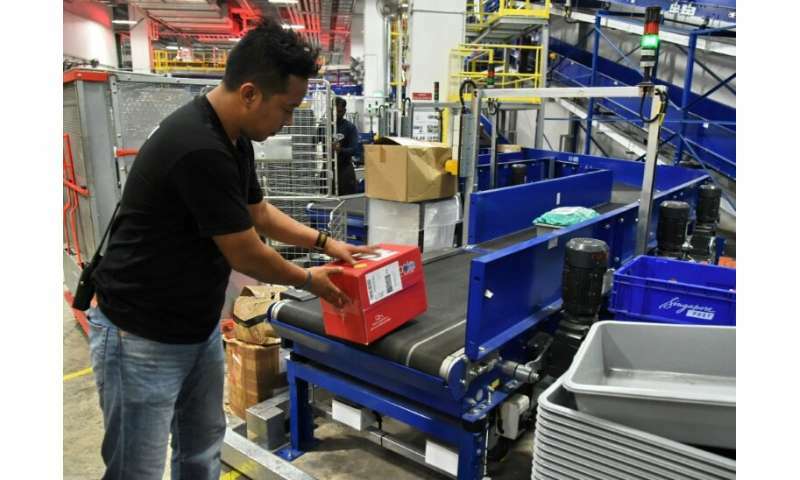 Other retailers are exploring strategies for meeting this free shipping demand while addressing runaway costs that have weighed on profitability. 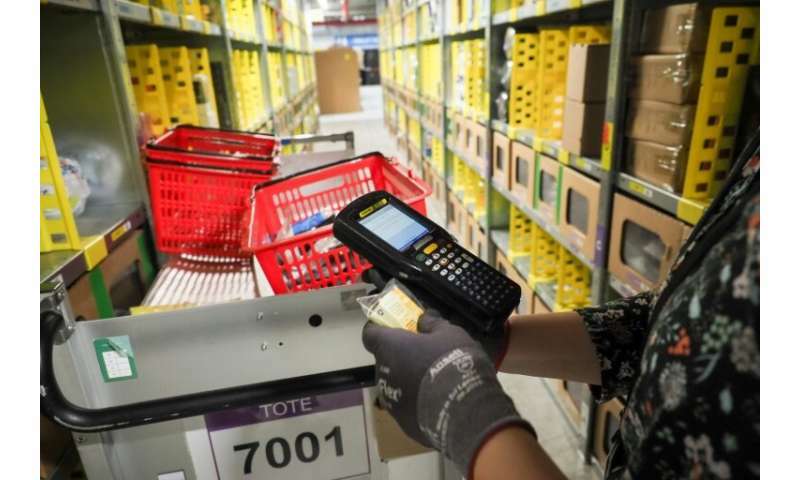 These measures outsourcing delivery to other companies; using robotics at the back of stores to distribute; or opening "dark stores," a warehouse-type space in a place near other shops where consumers can pick up goods, said Capgemini's Lindsey Mazza.